And to think at first I just thought this one was a stack of fried onion pancakes piled high in the metal serving cart on Ngo Tat To Street in Binh Thanh District. 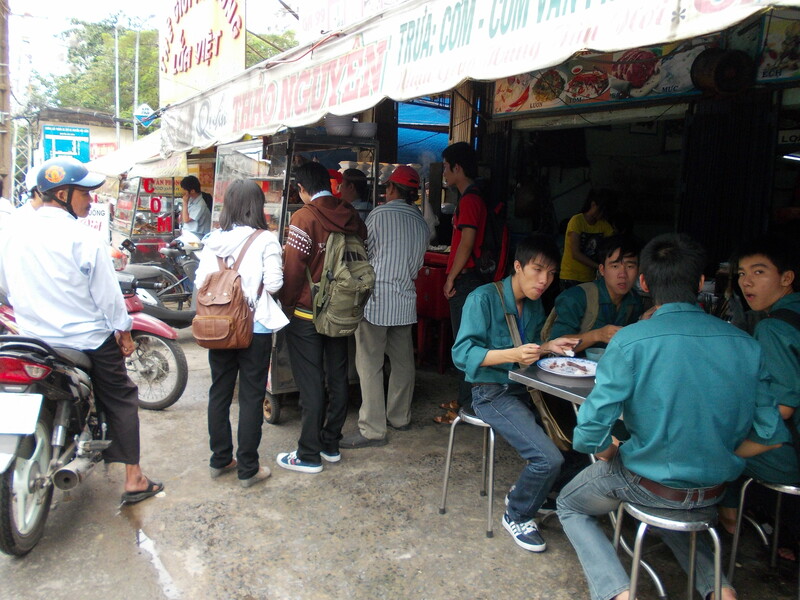 Oh no…Nothing in Vietnam is that simple and naturally what one sees is not what one gets. 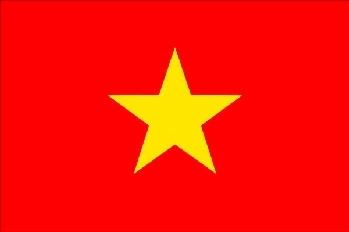 For that I am actually thankful, for Vietnam is always like a Christmas present. Sometimes you unwrap it, and it’s a dud like a sweater from grandma. Other times underneath all that wrapping paper is a delightful surprise. This lunchtime goodness is definitely the latter. By now I am confident everyone has at least heard of the Blooming Onion at Outback Steakhouse. You know the one…the one that always makes the top ten list of America’s deadliest dishes. Well, this one makes a Blooming Onion look like amateur hour. But wait…Upon closer inspection, this crispy disk is definitely not any sort of onion. What look like minnows are embalmed in copious amounts of artery clogging, gut busting fried breading. Yes, their final resting place is in a golden brown pancake anything but an appetizer at Outback. This crispy disk was like someone took a handful of fishing bait, tossed them in batter and then fried the hell out of it. 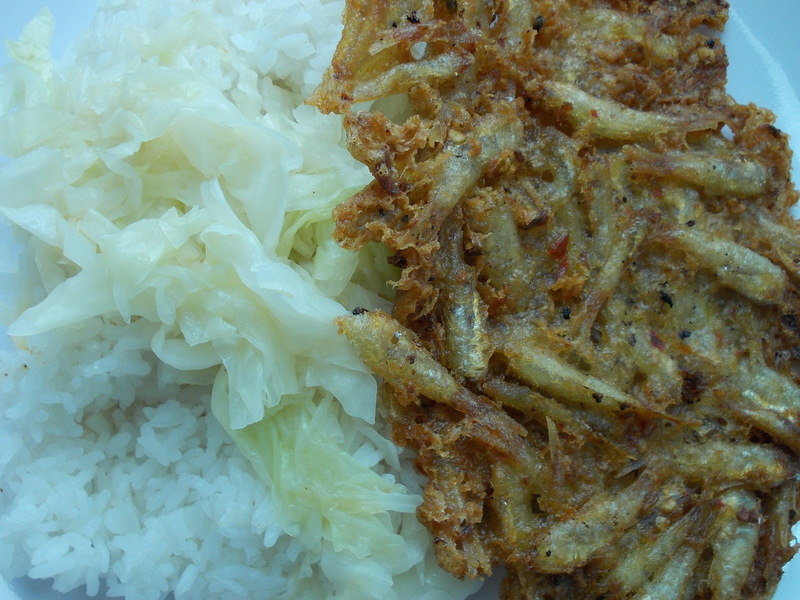 The fish dried out and became as crunchy as the pancake, thus really looking like onions at first glance. What a blessing in disguise being well done turned out to be as the entire fish is used from the tip of its head to the end of its tail. At least that grease bath reduced it to something edible. Hot chili pepper infused the batter with the correct amount of burn, and I appreciate anything pulling a bit of sweat out of my body. Or was that sweat coming from my nerves fraying a bit from the thought of eating all this grease and the damage it was now wreaking upon my diet. Yes, I know…everything in moderation is fine. I just exercised my moderation a little bit more than I should have by eating the whole thing. When I ordered this I had no idea I would like it. I figured it would be a dollar down the drain. This goes to show never judge a book by its cover. I’d eat this one again, and next time I am bringing it home and dousing it in some sweet chili sauce.